It’s inevitable that we all will make some little mistakes in our lives that we will learn from or be able to correct easily. 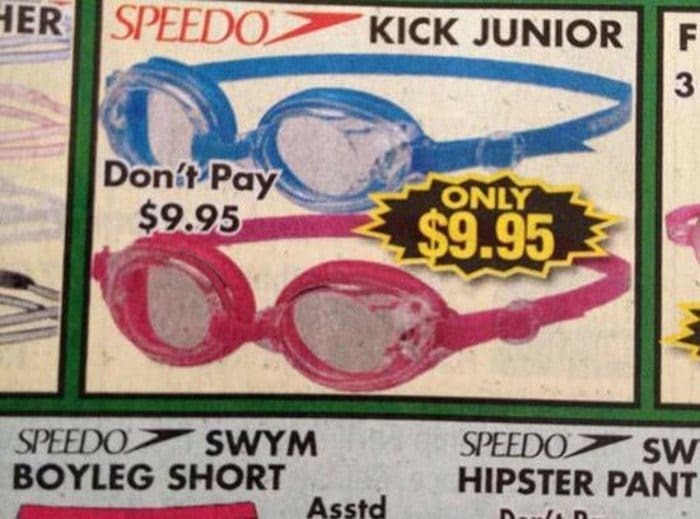 However, the people who made these mistakes below made some really hilarious classics! 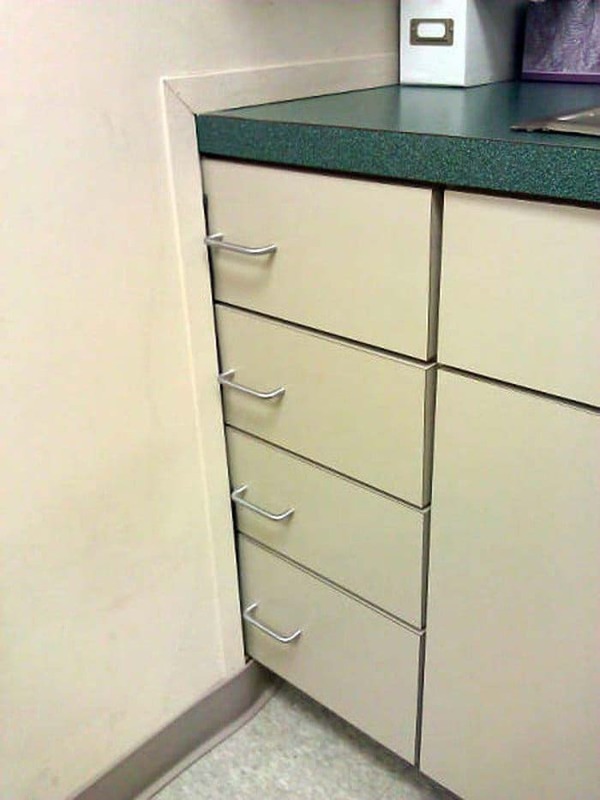 What on earth were they thinking?! 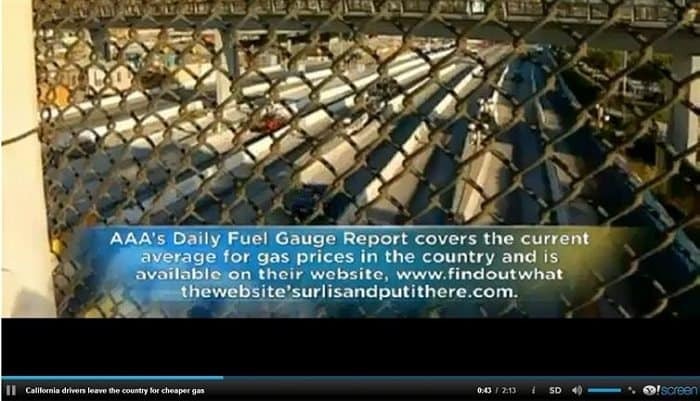 Ok, so a small mistake can happen to anyone, but these are just crazy-stupid! 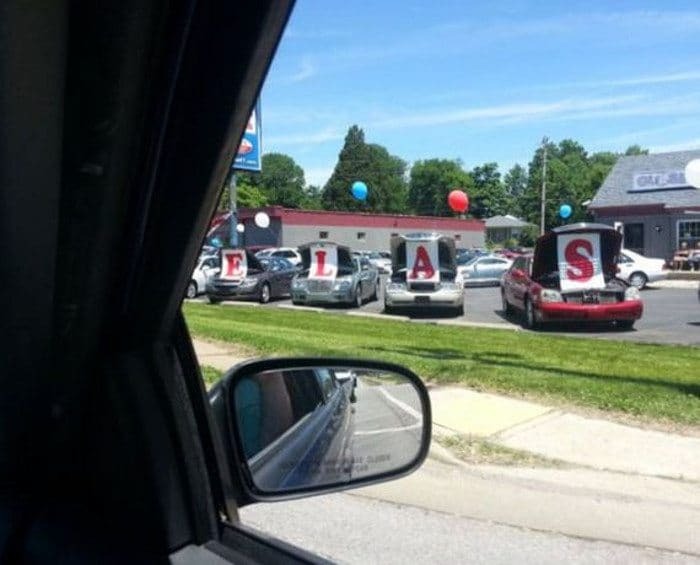 Get ready to laugh out loud at these epic job fails. 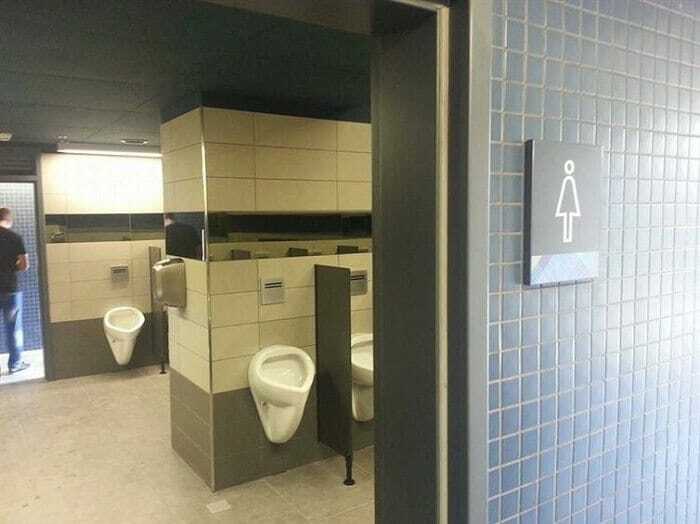 Make your mind up! What are we supposed to do??? 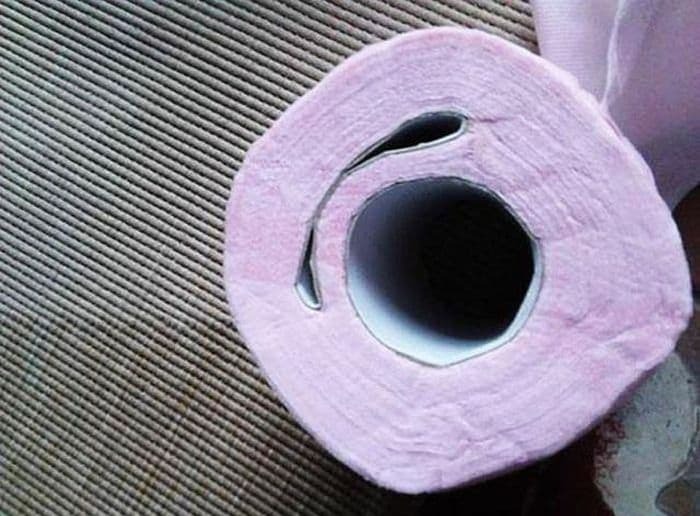 Two rolls are not better than one! 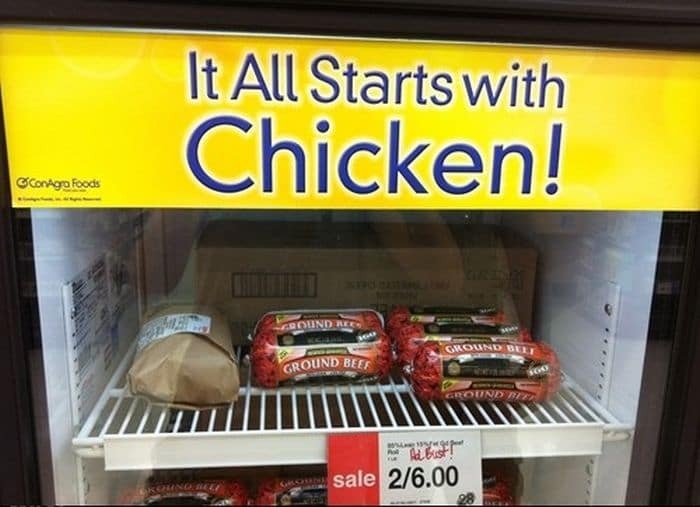 This person found meats very confusing. 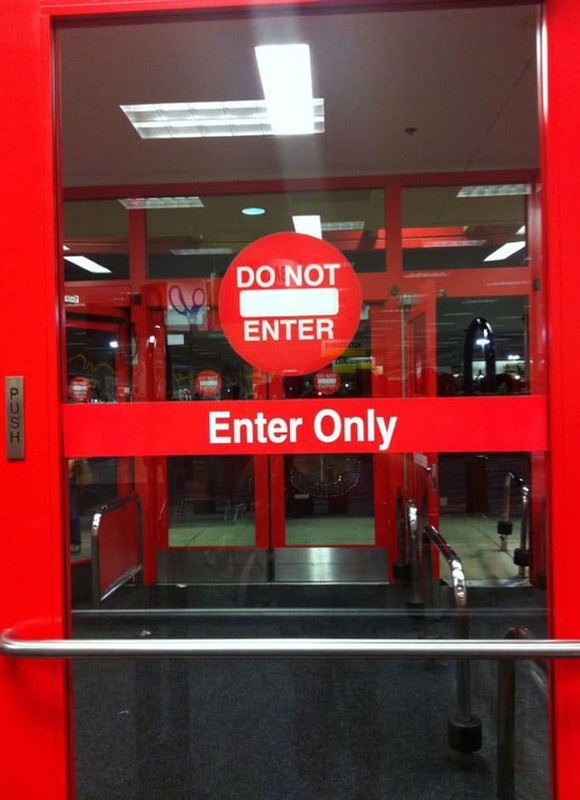 Hmm… this could prove to be a little tricky. Whoever owns this must be pretty annoyed! So is it $9.95 or not? 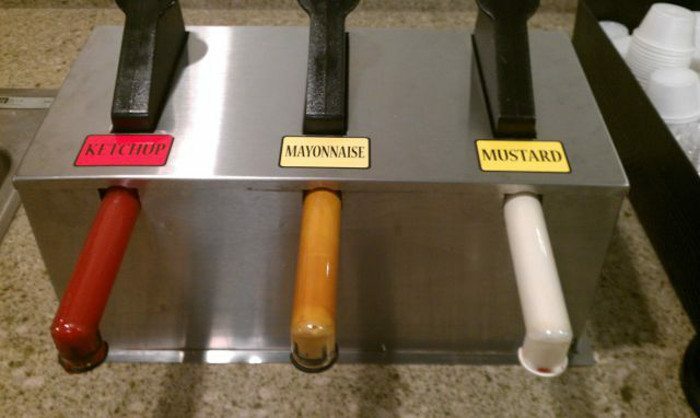 Don’t get your condiments mixed up! 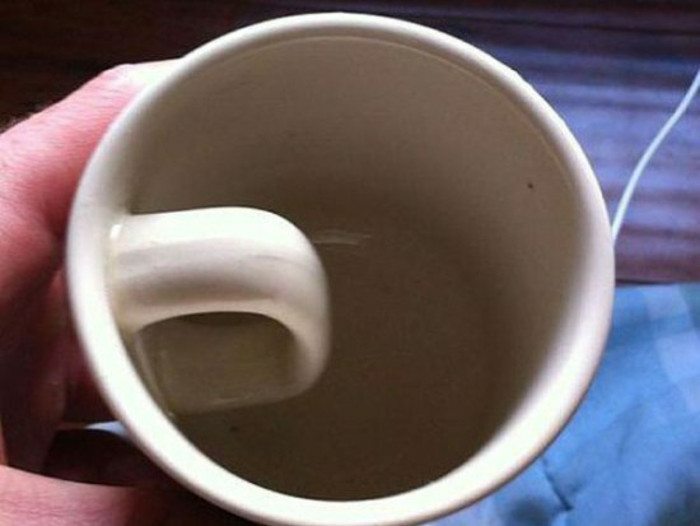 The guy who made this mug was obviously not a coffee drinker! 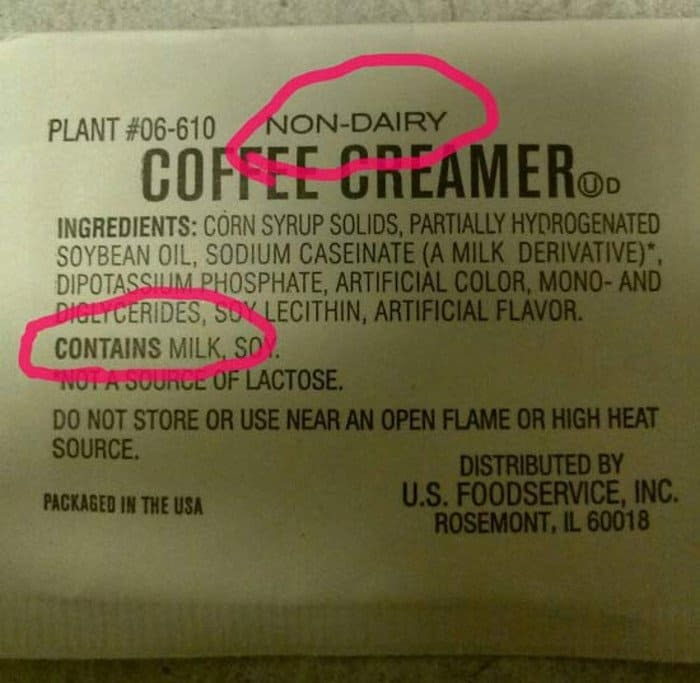 The guy who labeled this just might not understand the concept of non-dairy! 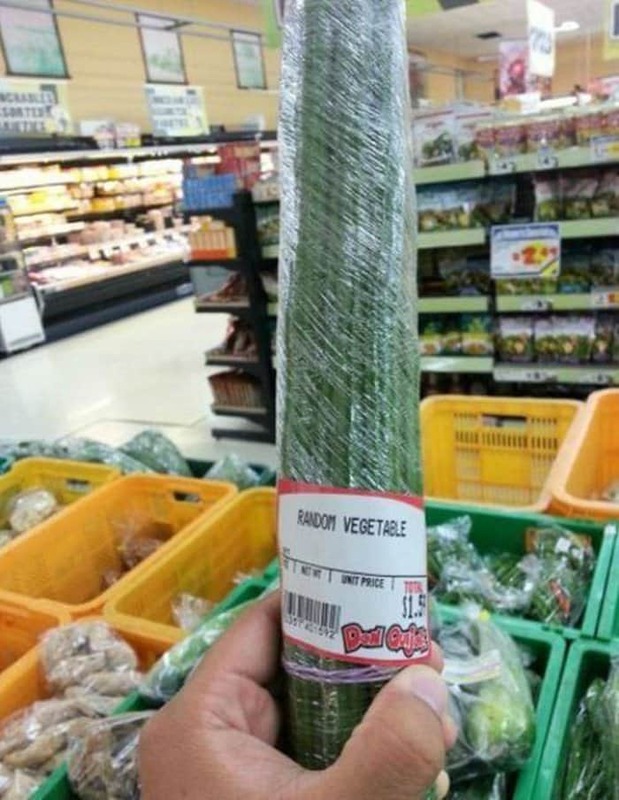 The guy who labeled this just could not be bothered that morning! 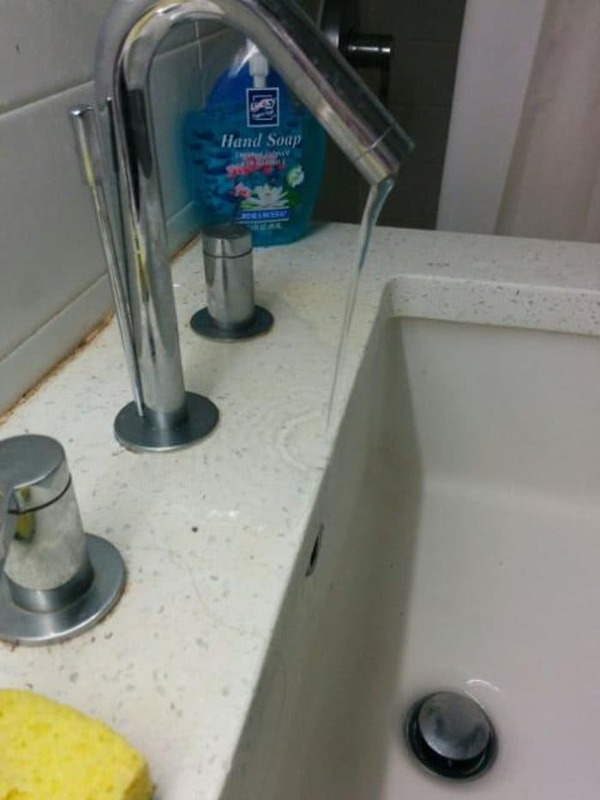 We bet this plumber got some complaints! 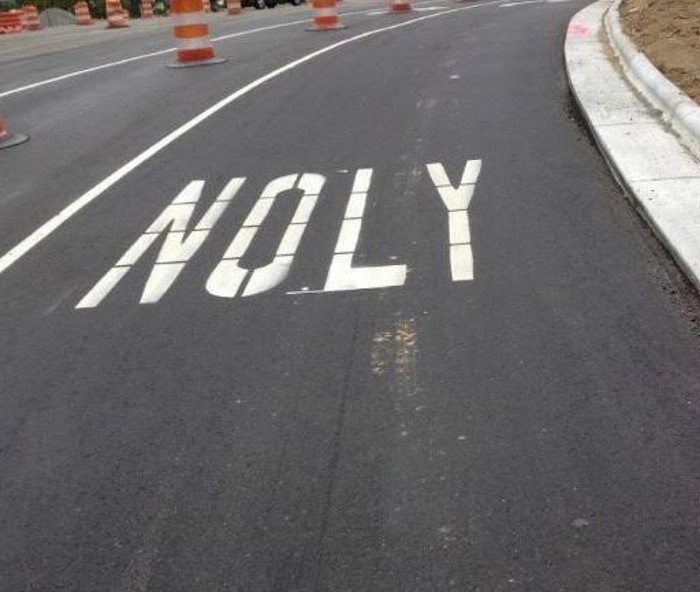 NOLY? This was this guys ONLY job to get right! 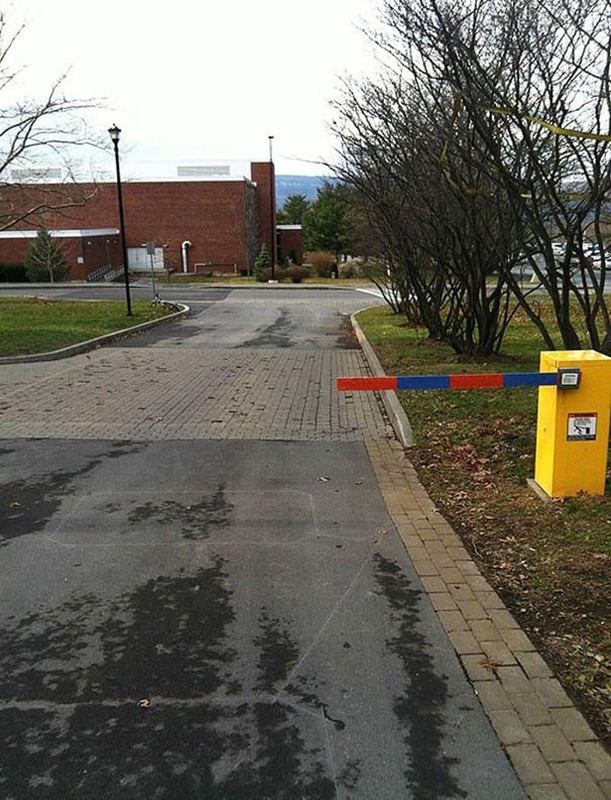 There is something about this barrier that we are just not sure about. Personally, we prefer a SALE! 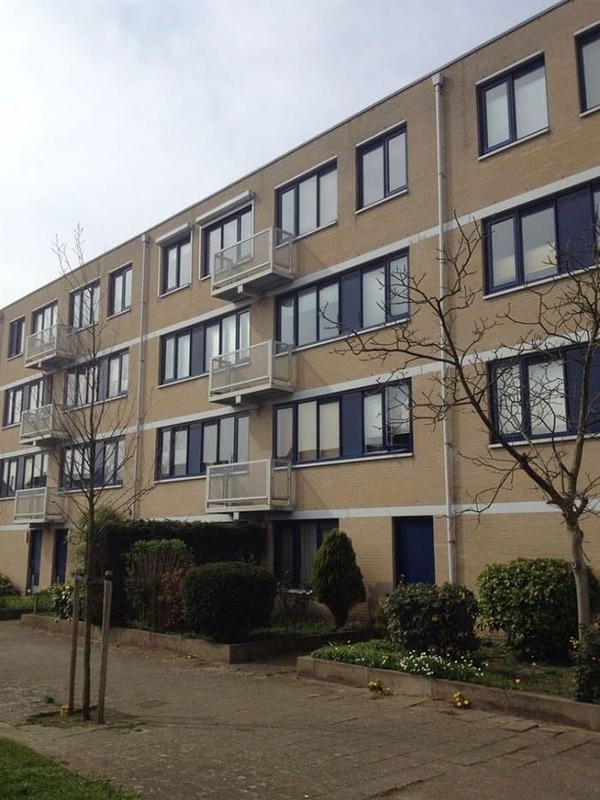 Nice balcony, shame about the access, or lack of. 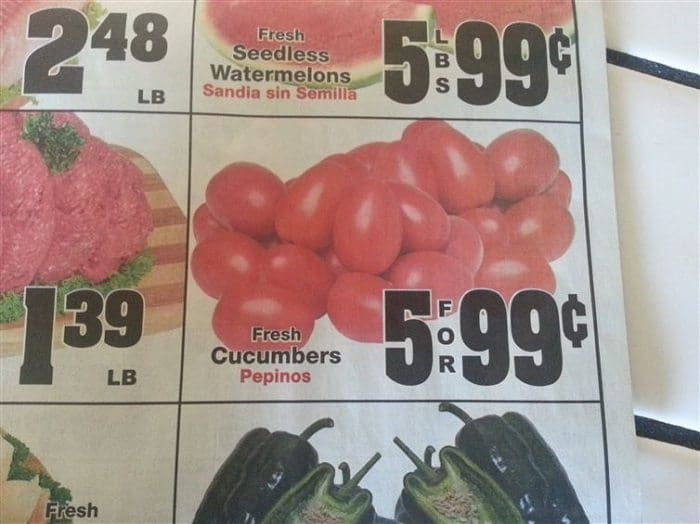 Cucumbers are looking weirder these days. 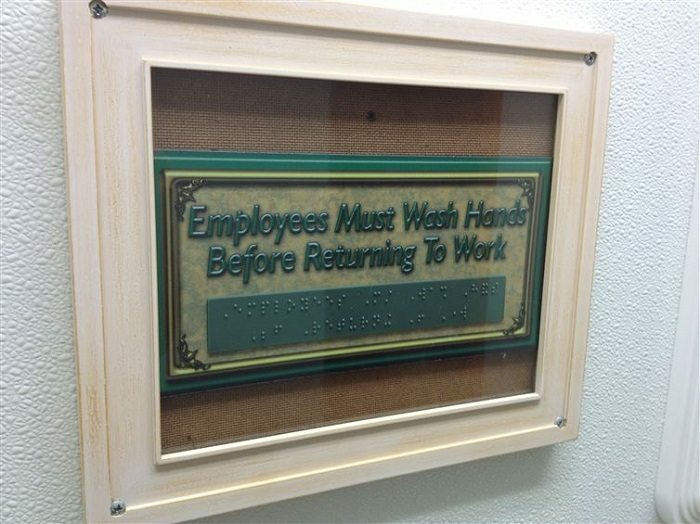 Braille behind glass just won’t work!